The wood floors Woodcover are composed of material 100% natural, what contributes to your aesthetic quality, and consequently to the high demand of this option. Later, other factors that distinguish this floor are the multilayers, the invisible varnish and the different formats available. On Multi-layer collection, as the name implies, the wood is composed of multiple layers. The first, the one that is visible, is the wear layer composed of selected oak hardwood. The second layer, composed primarily of poplar or pine of the highest quality, provides stability. Finally, the last layer works as a counterbalance. In this collection there are options with invisible varnish. The invisible varnish is a protective layer that retains the natural visual pavement. 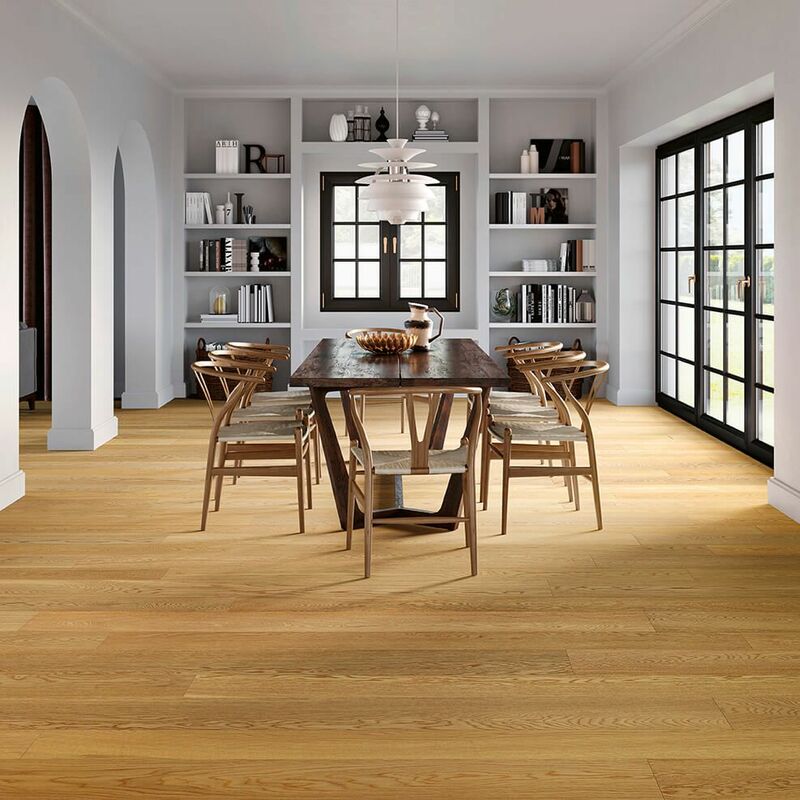 Gives the floor the appearance of raw wood, without glare, keeping oak color. When we select the floor that we apply within, the formats are crucial to create different environments. With Woodcover it is possible to realize a design drawing as, combining different formats, of different widths. The range of sizes allows a better adaptation to the spaces. See, for example, How does the combination of Quebec and Texas, the collection Granformato, each with different widths. These features join the hygienic properties that prevent the appearance of dust mites and allergies. In addition, the thermal insulation capacity keeps the temperature balanced spaces, what United with porosity of wood regulates humidity environment. In short, If you are looking for quality and a lifetime guaranteed without bleach the elegance of spaces, wood is a safe bet for your projects. Meet the Woodcover and clarify all your questions to our technical team. Don't get cold feet!